According to State Farm Insurance, California has more dog bite claims than any other state. Much of the time, dog bites are minor and do not require any treatment. Other times however, dog bites and attacks are serious and require extensive medical treatment. In some instances, they even cause permanent scarring and disfigurement. When a person suffers these and other serious injuries from a dog bite, he or she often wonders if there is any available recourse. In California, there is. The holidays are supposed to be a happy time for families and friends. The enjoyment can quickly turn to tragedy if a dog bites someone. Dog bites happen quite often and can cause serious injuries. Dog bites may happen more frequently around the holidays because of the increased number of visitors to one’s home during this time period. Dog owners must be vigilant in making sure that their dogs are kept from harming anyone. Dog owners must keep their dogs under control at all times. 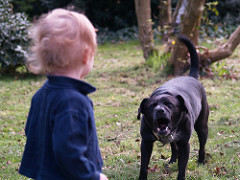 Dog bite injuries most often occur when an animal is off-leash or is not being properly supervised. Dogs need to be on leash at all times when they are in public areas. The only exception to this rule may be when dogs and owners visit specified dog parks. These parks allow dogs to run off leash in a controlled environment. Owners are subject to the rules of the specific dog park. While it may come as a surprise to some, California currently bans dogs and other animals from all restaurants, inside or out. Of course, this ban has long been ignored by many restaurants and their patrons, and it is not uncommon to see dogs-both big and little-resting alongside their owners at many San Francisco area restaurants. However, as of January 1, 2015, California pooches will be legally allowed to visit outdoor areas if certain conditions are met. On August 21st, Governor Jerry Brown signed Assembly Bill 1965, which gives restaurants the option to allow pet dogs in their outdoor seating areas under specified conditions unless a local ordinance determines otherwise. The old adage that a dog is man’s best friend was most decidedly not the case Tuesday at one particular residence in Bakersfield, California, that has become well-known in the viral community for the heroics of a family house cat that came to the rescue of a boy attacked by a neighbor’s dog, all of which was captured on film. And San Francisco dog-bite attorney Gregory J. Brod would cite the amazing bravery of a boy’s best friend as not only as a teachable moment on the surprising abilities of the felines that live with us in our communities but also a “purrfect” opportunity to review the applicable dog-bite statue in California. According to KERO-TV, the local ABC affiliate in Bakersfield, a 4-year-old boy named Jeremy Triantafilo was playing on his bicycle in the driveway of his family’s house when an 8-month-old labrador/chow mix owned by a neighbor sneaks around the family’s parked car, bites him in the leg and starts to drag the boy away. However, no sooner did the dog attack Jeremy, who has mild autism, than the family’s cat, Tara, swooped in to confront the much bigger dog, rushing it and chasing the startled canine away. The heart-warming heroics of Tara were captured on a surveillance video taken by Jeremy’s father, Roger, and the now world-famous feline probably helped save Jeremy from more serious injuries than those he sustained that have required a few stitches. Not surprisingly, Tara is one fat cat with a some major admirers. “Tara is my hero,” said Jeremy of the family black-and-gray tortoiseshell cat, who became a part of the Triantafilo family in 2008. The dog that attacked Jeremy is now under voluntary observation at the Bakersfield Animal Care Center and, according to police, will be quarantined for 10 days before being euthanized. The dog escaped from the neighbor’s property when the neighbor was pulling their vehicle out of their gated driveway. After the dog’s escape, the neighbor called 911 on behalf of the boy and his mother, Erica, who was nearby watering a tree when she heard Jeremy’s screams. 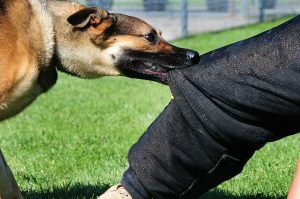 The owner of any dog is liable for the damages suffered by any person who is bitten by the dog while in a public place or lawfully in a private place, including the property of the owner of the dog, regardless of the former viciousness or the dog or the owner’s knowledge of such viciousness. Dogs are often praised for their loyal and obedient temperament. People invest time and money trying to teach their dogs how to be well behaved. However, sometimes these attempts can be futile and a seemingly sweet dog can turn into a vicious perpetrator. 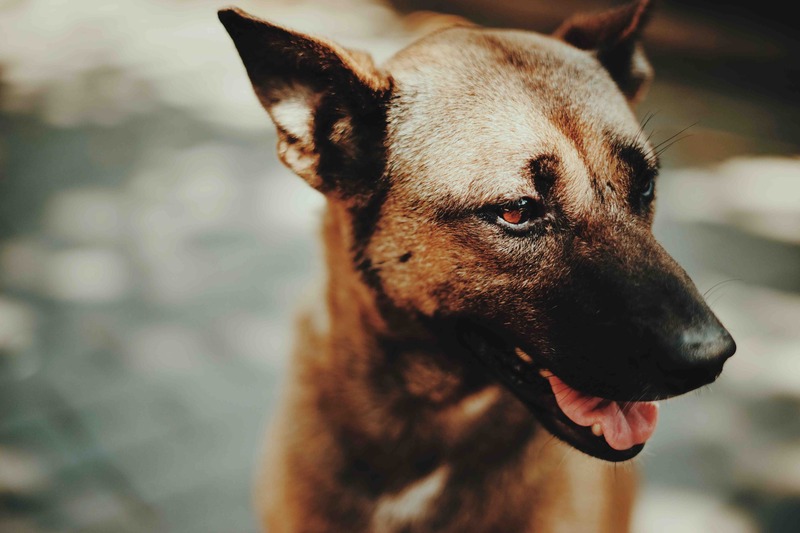 As experienced attorneys in dog bite cases, our San Francisco personal injury firm knows firsthand what can happen when a dog causes injuries to an unsuspecting victim. In California, a dog owner is expected to take responsibility for their dog’s actions. According to the California Civil Code 3342, “the owner of a dog is liable for the damages suffered by any person who is bitten by the dog while in a public place.” Typically when a dog bites a victim, it is to the owner’s shame and disbelief. But what happens when a dog attacks a victim because its owner gave the command? According to Inside Bay Area, a 22-year-old woman was attacked by a pit bull in Berkeley last Sunday. What makes this news story different from most dog bite stories is that the owner of the pit bull gave the dog a command, instructing him to attack the woman. The pit bull bit the woman on the arm and she was treated at Berkley Hospital. 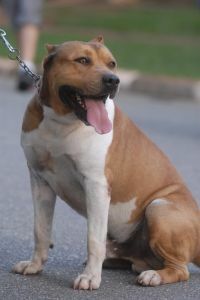 It is undisputed that the owner of the dog will be held liable for the injury caused by the pit bull. However, because the owner ordered the pit bull to attack she may be entitled to more than just the typical compensation awarded to dog bite victims. As we prepared today’s blog post, one that starts with a news story that we don’t see every day, we had two primary thoughts: 1) Some things happen more often than you’d think and 2) Even less-than-common legal matters rely on common legal concepts. We’ve written about dog bites previously, but there are a range of other injuries caused by animals. Our San Francisco injury lawyer is prepared to hold animal owners responsible for these incidents using the same legal concepts we use to help many of our deserving clients. Over the weekend, The San Francisco Chronicle’s website carried a story from the St. Louis, Missouri that could have taken a much more tragic turn. According to local news authorities, three elephants escaped from the St. Charles Family Arena which was hosting the Moolah Shrine Circus. 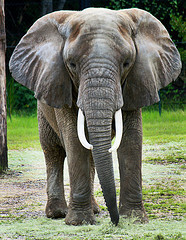 The three female elephants, which were part of a children’s ride at the event, caused damage to several cars and a loading door when they got away from their handlers. Thankfully, the handlers were able to distract and recapture the elephants before they caused injury to themselves or the gathered crowd.